Your day-by-day itinerary now includes Estadio Olimpico Nilton Santos as well as Feira de Sao Cristovao. There's still lots to do: take your sightseeing to a higher altitude at Sugarloaf Mountain, don't miss a visit to Escadaria Selaron, take in nature's colorful creations at Jardim Botânico do Rio de Janeiro, and enjoy the sand and surf at Copacabana Beach. 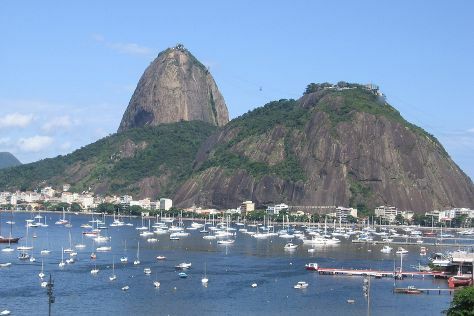 To see more things to do, traveler tips, maps, and more tourist information, use the Rio de Janeiro road trip planning website . In May, daytime highs in Rio de Janeiro are 31°C, while nighttime lows are 24°C. You'll set off for home on the 28th (Tue).